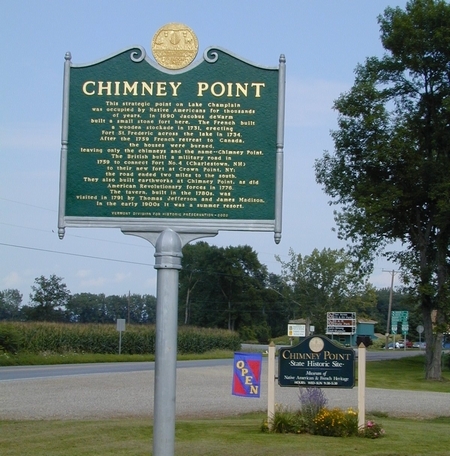 The legacy of Vermont's Native American French colonial and early American settlement is presented at Chimney Point, one of the most historic spots on Lake Champlain. Site of human habitation and Native American activity for 9,000 years, 1690 English & Dutch military outpost, a French fort in 1731, French houses from the 1740s to 1759, Revolutionary war activities, a tavern built c.1785 now housing the museum, old ferry landings, and indoor and outdoor exhibits on the old 1929 Lake Champlain Bridge. Bridge interpretative trail at Chimney Point and across Lake Champlain Bridge at Crown Point State Historic Site and New York Visitor Center. Across bridge from Crown Point NY Historic Site, half hour drive from Mt. Independence, and near other museums. Open Memorial Day weekend through Columbus Day, Wed.-Sun. & Mon. holidays, 9:30-5:00. Modest admission fee, special programs, school groups, picnic tables, specialty gift shop. Annual Northeast Open Atlatl Competition in September. 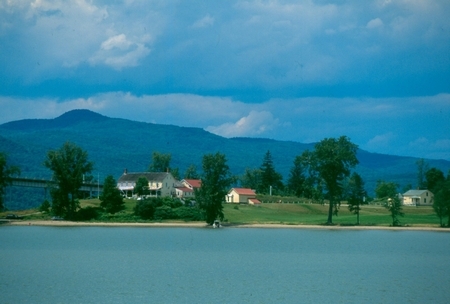 Across from Crown Point NY Historic Site, half hour drive from Mt. Independence, and near other museums. Open Memorial Day weekend through Columbus Day, Wed.-Sun. & Mon. holidays, 9:30-5:00. 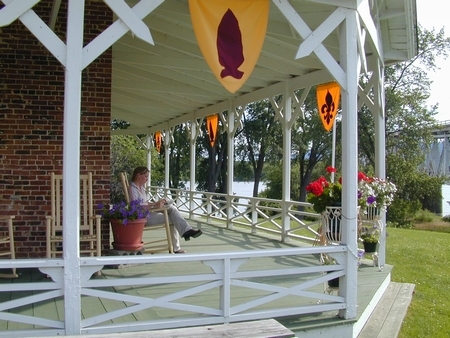 Modest admission fee, special programs, school groups, picnic tables, specialty gift shop. 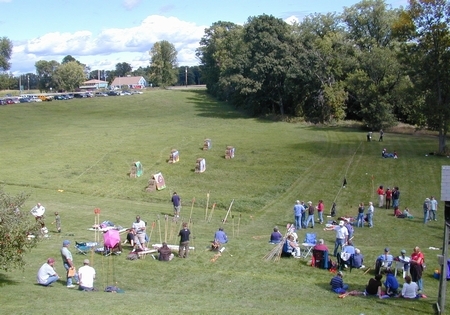 Annual Northeast Open Atlatl Competition in September. At the end of VT Route 125 near intersection with VT Route 17, at foot of Lake Champlain Bridge on Lake Champlain.